Jamika is finally healing from her childhood scars, family secrets and an attempt on her life. She’s taken a hiatus from her singing career to focus on her own sanity. She is done with her past and moving on to a fruitful and fulfilling life, surrounded by the people that have proved their love for her is genuine. But, her past is not done with her yet. A massive manhunt for the woman that attempted to kill her, combined with the discovery of her missing uncle’s remains, brings her back home to South Florida, to face head on the very demons she’d been running from. How could fate be so cruel? New evidence points to her as a suspect in a murder investigation, threatening her reputation and freedom. Even the people that she believed loved her most start to look at her in suspicion. A slew of unexpected and unlikely events back her into a corner in which she sees no escape. She must now put all of her cards on the table, even if it means playing with the very demons she’s been attempting to elude. $3.99 on Kindle. 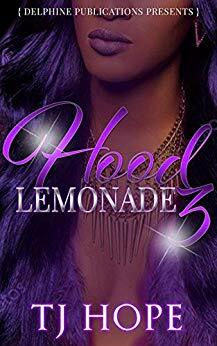 "Hood Lemonade 3" was first posted on freebookpromotions.com on March 29th, 2019. Each day we feature new free and discounted Kindle books in the Womens Fiction genre as well as all other genres.